Am a photography enthusiast since don't know when (an influence during secondary school club I think) and was consistently taking photos with my camera all the time. Upgraded to Canon 1000D May this year, and am so glad I had my baby Canon to accompany me to events and work and making all the memories a long lasting ones. On 22nd of October, am gladly being one of the media invited to Futuromic Imaging Fair 2010 by AXPR (Amber Chia & Xavier Mah PR Agency) which held at Lower Ground Concourse of Berjaya Times Square. Futuromic Imaging Fair was organized by Futuromic Photo AV Sdn Bhd, one of the exclusive and nationwide distributor for many well known brands like Nikon, Sandisk, Tamrons and more. 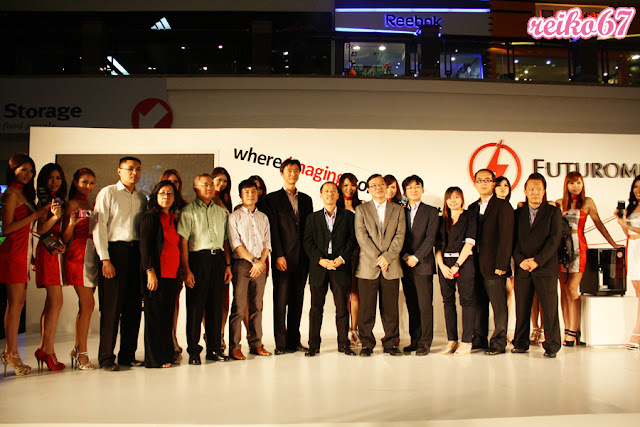 Besides, Futuromic even become a joint-managing partner for Malaysia's First and South East Asia's Largest Nikon centre which also located at Berjaya Times Square. Ashame that I didn't aware of Futuromic before, but now I did!!! All thanks to Xavier who invited me over to witness the launch of this wonderful photography fair which I think any photographer too don't want to miss!! 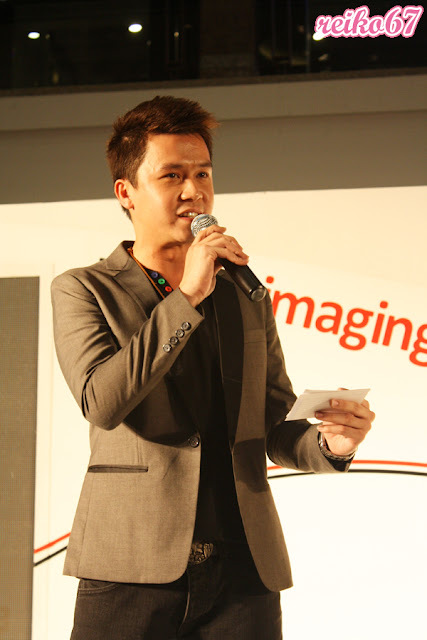 "There'll be variety of activities such as performances, dances, games during the three day event" - Mr. Jeffrey Ng, Sales Director of of Futuromic Photo AV Sdn Bhd. 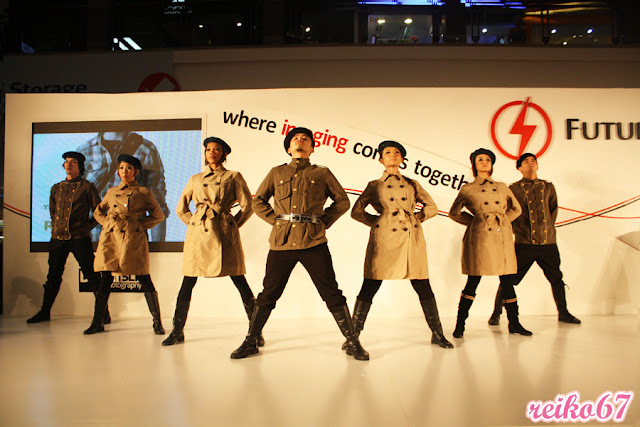 The very cool and army feel opening dance of the launch. That's not all, one of the BIG THING happening in this Futuromic Imaging Fair is there's a photo taking contest of the 16 ambassadors of the event. 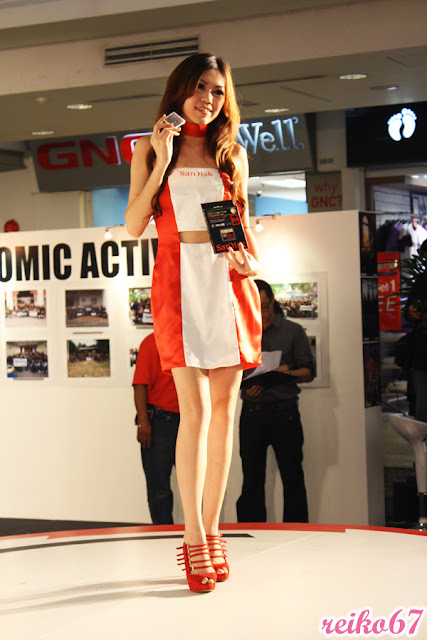 The winner of this photo taking contest can win up to RM5000 worth of prize!!! Okay, I'm now going to show you photos that I took for these 16 hot and pretty babes during the launch event! Are these eye candies enough for you!??? They're totally gorgeous aren't they!!! I wish I'm too one of the ambassador who work for this event! But still, not bad to attend this event as a media tho. Haha. If you think events, pretty babes, and selling which this event is all about, think twice! 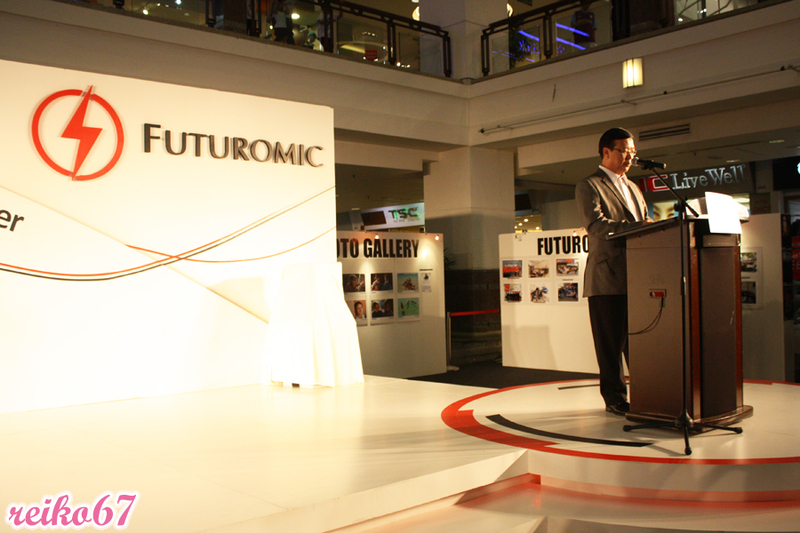 Futuromic too announced the Giving Frames Photography Grant Project during the event. This grant project is initiated by r. Francis Lai, Managing Director of Futuromic Photo AV Sdn Bhd and he hopes that this will create an awareness and responsibility in worthy social causes through photography. The grant of maximum RM30,000 to fund production costs for a non-profit photography projects. Recipients of this grant can be any Malaysian photographers, a non-profit photography society or insitution, group and individual as long as the project reflects grant's mission, which is "to inspire and to influence others to a worthy social cause through photography ". For more info of Giving Frames, CLICK HERE! One big family of Futuromic. This event is truly inspiring. So many photography gadgets to see, to hold and to experience, at the same time, competing with ourselves for a higher level achievement in photography through contests. Futuromic surely is doing a good deed to create a better photography atmosphere in Malaysia!